My daughter, Bridget, is very creative. She loves colouring, doing crafts and even helping John with his carpentry projects. She always comes up with the nicest homemade gifts for the holidays. I cherish all the cards, pictures and paintings she makes and have them proudly on display. 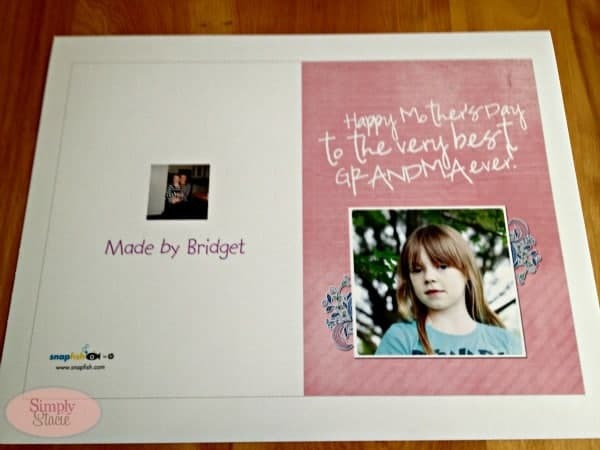 With Mother’s Day coming up, I decided to look online with my new PC, an HP Envy X2, for some Mother’s Day printables that would be suitable for Bridget to work on. Thankfully, there was no shortage of selection online! I ended up bookmarking many of the printables as well as printing a bunch of them with my HP Photosmart 7520 e-All-in-One printer. I’ve made a list of all the awesome Mother’s day printables I found to save you from having to search through pages and pages of results! 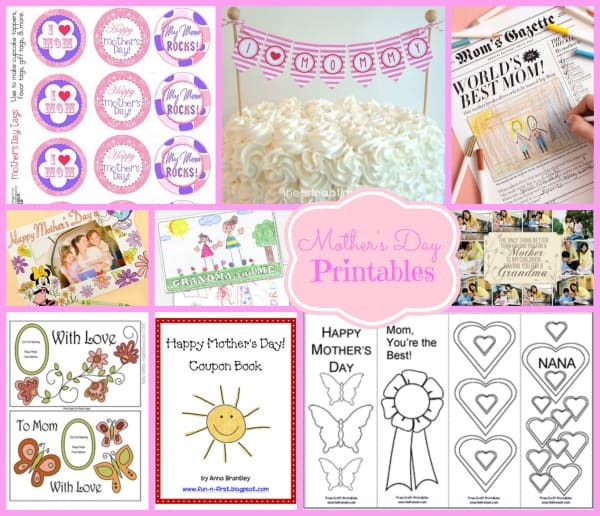 I’ve broken the printables into three categoires: Mother’s Day Printables for Kids, Mother’s Day Photo Cards and Other Mother’s Day Printables. Best of all, they are free! Check out the selection and print out your faves. Bridget was busy for a few hours working on her cards and other activities. When she was done, she asked me to print more! I also found gorgeous free photo cards on the Snapfish site. They recommend printing on HP 8.5×11 Brochure Paper 180g Matte or 180g Glossy. I didn’t have any on hand so I used my HP Everyday Photo Paper. Bridget can sign the front and I can mail it out to my mom in Ontario. I was really impressed with the quality. The HP Photosmart 7520 e-All-in-One printer rocks! 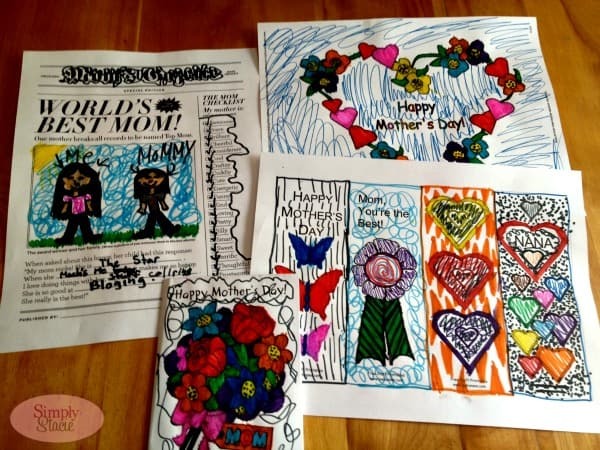 What kind of Mother’s Day printables are your favourite? I love printables. They are so convenient and fun for both kids and adults. Thise are fun thanks for the link! Very cool! Thank you for the great selection! I love the name Bridget! I think Sally Fields played Bridget in one of her early movies? At any rate, I think printables are great. The Minnie ones have already been selected here! I appreciate you sharing this and so does my niece! I like it so much when someone shares links like this , it is very much appreciated. I never know where to find all this great stuff and I do not always have the time, so thank you very,very much. Thank you for all the great sites. So many to choose from. What a GREAT roundup of printables, and I love Bridget’s colorful artwork! These are so cute! I love the coupon book one. I also really like the Mom Gazette. Thank you! Wow thanks for that great list! I’m totally going to use the cake banner for our Mother’s Day celebration. Adorable! These are perfect especially for me since I homeschool. We need a project for Friday. Thanks for sharing all of these cool printables! It reminds me that I need printer ink or my kiddo won’t be able to make anything this Mother’s Day! Wow! What an awesome list of printables. I love that so many of them have room for coloring or “personalization”. They make for fun activities! Thank you so much for all the printable cards, I checked out the Grandma ones and they are so cute. I always think that homemade cards are the best for little ones to give and most can be personalized. Thanks for the great selection and tips. These are all so cute! To tell the truth, I have never explored the world of printables. I have a lot of catching up to do – thanks! I can see I’m going to have get some more paper! LOL! What a wonderful collection of printables and projects for kids. These personal and touching items make the best gifts for moms, grandmas, aunts, even grandpas. My granddaughter wished my husband a Happy Mother’s Day, too yesterday. It’s just so sweet the things they do and the personal touches that they add to projects. Keepsakes! 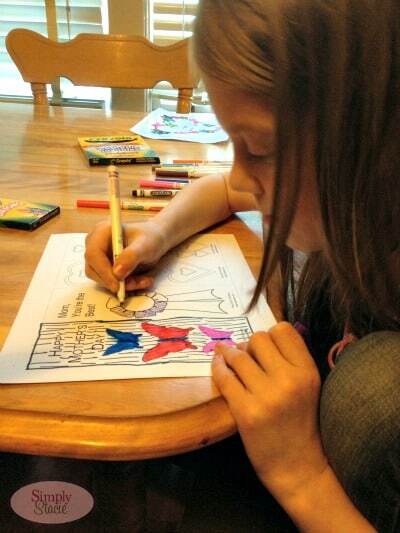 Wow my 4.5 year old grandson would just love to use printouts to color. I never knew there were printables available online! This is very exciting news! Those are fun and festive, thanks! A great list of links for some pretty cool craft ideas. Thank you! Shared these with a friends who is always looking for printables!